the idea of the scenario is to simulate a battle and see how is the evolution in different cases. you can put any unit available and place exactly where you want. you can take the control of any other player and do any chage you want during the battle. Is it a scenario based on change ownership? 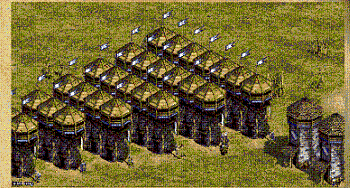 Yes, so you can stop the battle in them middle and add some new units or move the existing ones. If the computer continues the battle after unfreezing you can decide about a battle scenario in your campaign. Otherwise you should add some AI files. I had only put some simple triggers which many people wouldn't have the patient to put them all.